Founded in Silicon Valley and headquartered in the Dallas, Texas metroplex, Active-Semi is a rapidly emerging leader in the multi-billion-dollar power management and intelligent motor drive IC markets. The company’s portfolio of analog and mixed signal SoCs provide scalable core platforms used in charging, powering and embedded digital control systems for industrial, commercial and consumer applications. 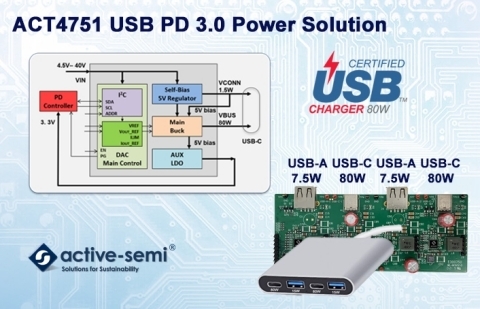 Active-Semi offers Power Application Controllers ® (PAC ® ) and Programmable Analog ICs that significantly reduce solution size and cost, improve system reliability, and shorten system development time.